There are more children … 92 of them and they are no more small kids. 6 of them go to school and every year its one class higher and lessons tougher. 8 older children between 13 and 18 years girls almost full orphans are with us. They are studying in high school. Needs a lot of attention with many challenges handling them. Its a huge challenge to serve the children and the widows…but in all these we find great joy and happiness. Your support and visits have been a great source of encouragement in carrying out the work. We are Happy to see our kids Happy and Healthy. Many children who came as tiny tots have grown up to be in the ages of 9 and 11. These children are able to manage themselves and help the smaller kids . In the picture we see them being able to identify their own lunch boxes , get ready to school and do many things without assistance. Great feeling of contentment to see them independent. 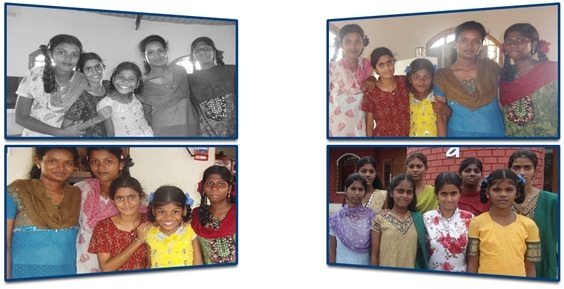 These children came to our orphanage when we started way back in 1998. But they were in another orphanage until now since we did not have the facility of our own and schooling was a problem. Now they have come to live with us and they continue their education. They are in their teens and the challenges are different. They are doing well. We seek support for their higher education and needs . They are almost orphaned and abandoned. Wonderful kids with great spirit who will be the pillars of Sangita in the future. 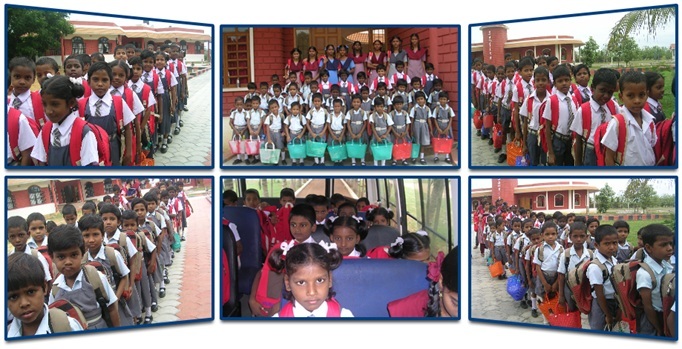 These kids are a great help to the smaller children and are part of the activities of Sangita. 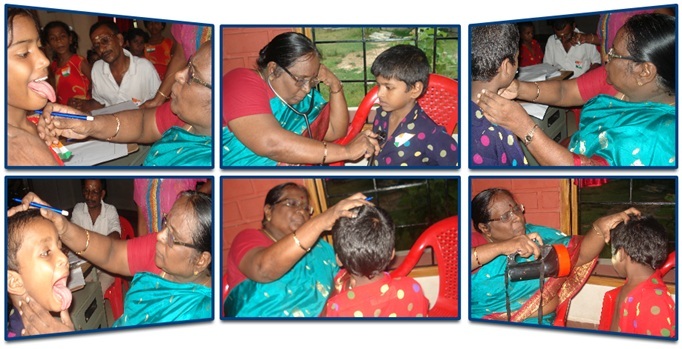 The children at Sangita go through medical check periodically. On the 15th of August we had a medical check for the children. The doctor was happy on the health condition of the kids. We are looking for dental and eye check for the kids. 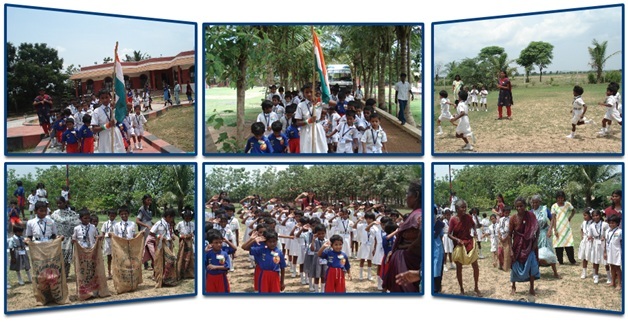 The kids were able to honour our nation on independence day Aug 15t by hoisting the national flag at the orphanage. Many sports activities took place on that day. 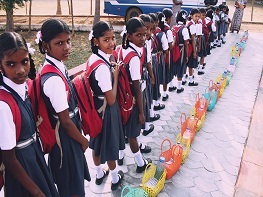 76 children go to school. Doing very well. Have progressed well in English. Its such a joy to see them grown big and more responsible. They are able to do many things by themselves ( see how they are able to organise their lunch boxes to school and do their studies) and help the smaller ones. Amazing to see them once so dependent and now more independent. 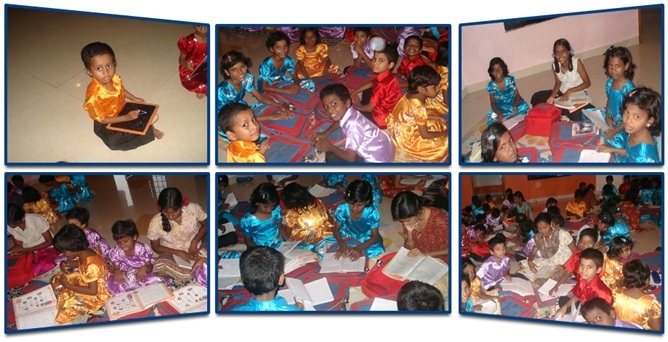 The children have their study time from 7 p.m upto 8.30 pm. The older children help them in their studies. Our staff very deligently guides them and help them in their education. It's a great privilege for these kids to study in English. The progress of the children is very good. Many of our readers have been part of this program. Wonderful program. The widows whom we serve are doing well. 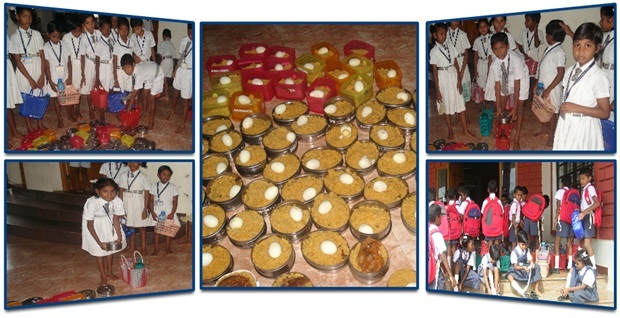 They have integrated well into their homes (most of them) because of the food provisions that we give them. They are more strong emotionally and very positive towards life. 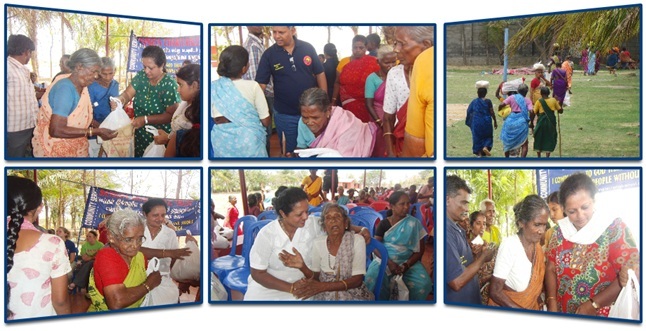 On the 8th of July we were able to fix up a medical camp for our widows and the village people. About 450 people were benefitted by this program. The program was done by Apollo Hospitals…one of the very best hospitals in India. The villagers were screed and tested for diabetes, heart, eye and general check up. It was amazing to know that many of them went through these screenings for the first time in their entire lives. Take no credit for the way the Sangita Ministries are cared/provided for. The cost of education is very high. The cost of living has gone up considerably. Food costs have gone up. We are grateful to God for all those who support us. Every area of our work needs financial support. Would be grateful if you extend your financial support. Please pray for us and the Sangita Ministries each child ,widow and staff.